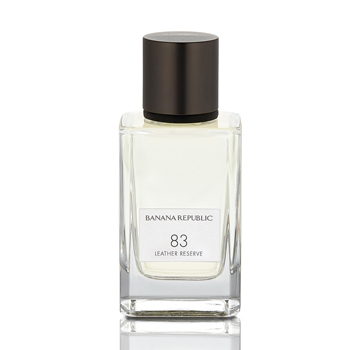 83 Leather Reserve by BANANA REPUBLIC from the Icon fragrance collection is an Eau de Parfum. Perfumer Vince Kuczinski recalls 1983 with nostalgic warmth: "I had this perfect suede jacket that was so soft...all the girls wanted to wear my jacket. He enhanced the addictive leathery softness of suede with warm amber and sparkling lemon zest. Top notes of Cypress, Lemon Zest, Bergamot. Heart of Cedarwood, Tonka Bean. Base of Vetiver, Suede, and Amber.